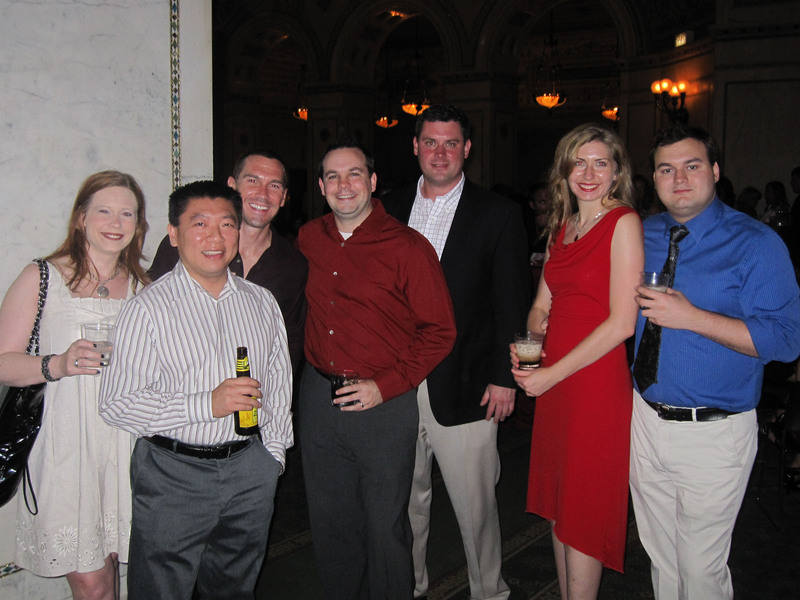 On August 14 Roundarch had the privilege of sponsoring the American Red Cross Mission: Red Experience Auction. The event was held at the Chicago Cultural Center and hosted by Kristyn Hartman who serves as a general assignment reporter for Chicago’s CBS2 weekday newscasts. We were happy to be able to sponsor an Experience Auction item and support such an important organization which serves the greater Chicagoland area. James Lazar, vice president of Roundarch, presented the “Mr. Smith Goes to Springfield” package to Mr. Eugene Varnado for his winning bid. The package was an invite from Illinois State Treasurer Alexi Giannoulias to experience Illinois’ state capital, Springfield. The package included tours of the Illinois State Capitol buildings, tickets to the 2009 Illinois State Fair and accommodations at the President Abraham Lincoln Hotel. Thanks to the generosity of all the attendees, the event raised more than $33,000 to support the lifesaving services of the American Red Cross of Greater Chicago. In one recent weekend the Red Cross responded to 10 disasters and provided food, shelter, clothing and emotional support to 38 people in need. This is the work the Red Cross does everyday and these events help to make this type of support possible. Additional photos can be found here and here.